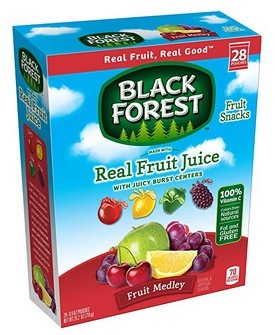 Black Forest Medley Juicy Center Fruit Snacks, 40 count only $4.54 shipped! Amazon has this Black Forest Medley Juicy Center Fruit Snacks, 40 count for only $4.54 shipped when you clip the 30% off e-coupon and checkout through Subscribe & Save! That’s like paying only $0.11 per pouch shipped!